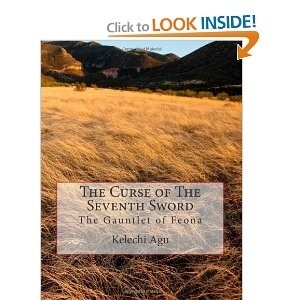 Recently I had the privilege of talking with Kelechi Agu on the amazing stride of becoming an Author. 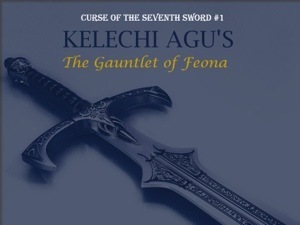 Kelechi, is the Author of the fictional book, Curse of The Seventh Sword: The Gauntlet of Feona, which he self published in March 2014 and has received a lot of reviews online. 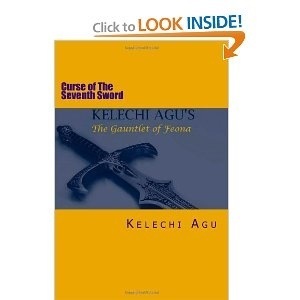 Kelechi is an ICT Guru and currently works at GalaxyBackbone, and his passion for writing is indeed admirable. He lives in Abuja, Nigeria after completing his schooling at Claflin University. B. O.- What do you think is the biggest hindrance to writing and publishing a book in today’s world? K. O.- I would say the biggest hindrance is the death of reading. More and more stories are being told on the big screen, and with the advent of entertainment technology, it is harder to get people to delve into a written story. But nothing beats the power of imagination, which is what a book provides. It’s tougher, but not impossible. B. O.- Amazon is a great online store for books and it is pretty much a big deal for an Author to have a lot of book reviews. What do you think attracted readers to your book and how do you feel about your book reviews? K. A.- Well it’s nice to be reviewed. It lets you know that people read your book and are compelled to say something about it. It doesn’t matter what people say. I think the worst criticism is no criticism. The initial attraction may come for different reasons. Maybe some people like books that fall in the genre my book is about, maybe it was the title of the book, maybe the cover art. Either way I was hoping that one or a combination of factors, including teasers and social media marketing strategies would eventually lead a few people to give the book a try. I’m glad it worked out. I have five reviews right now. All good and fair. I’m hoping for more as time goes on. B. O.- What is your key source of inspiration? K. A.- You know that feeling you get when you finally turn the last leaf of a gripping novel or the edge of your seat stuff you see in great movies? I want people to get that feeling when the read or someday possibly watch my stories. That is my biggest inspiration to write. B. O.- We believe in long term, consistent writing. How do you plan on sustaining you writing career? K. A.- I think its important to pace yourself. It is so easy to start and not finish, but life does give you natural breaks and in those moments I find the inspiration to write. It never feels like a career to me, it’s more like something I’m naturally inclined to do, so it’s not hard to keep it up, as long as I manage to keep my approach to writing as natural as I did before any sort of recognition or success I think. B. O.- How would you advice unpublished/ published Writers who face ‘the Writers’ block’- How do they write again and continually? K. A.- I think the key still lies in keeping the approach simple. It’s so easy to to start thinking of the publishing, and what could or could not be and that builds pressure. For me writer’s block comes with the pressure. So take the pressure off and go back to that purest of feelings that got you writing in the first place. I think as long as there is a way to go back to the innocence of the beginning and the imaginative mind, a writer can find the inspiration to write again and again. Just keep the approach simple and let it flow. K. A.- Actually the hard copy of my book is out. It was released before the kindle version. Again the kindle version is probably more popular because it’s cheaper and it’s on a kindle. That death of reading thing again. Maybe I should call it the evolution of reading. I meet so many people who tell me, I’d rather read a novel on my tablet or kindle or some other technological mobile device. However if anyone wants to check out the hard copy of my book, they can just type in the link below. B. O.- Now a personal question- How much did you make from your first book- an estimate 🙂 ? K. A.- Hmmm yes this is very personal. Well all I can say is that since publication in March of this year or rather re-publication, I’ve made something on the order of the middle six figures in Naira so far. Thank you Kelechi for sharing your thoughts with us. Thank you for having me Blessing.